Relatos de viagem, dicas, curiosidades, alguns perrengues. Sempre acompanhados de fotos! 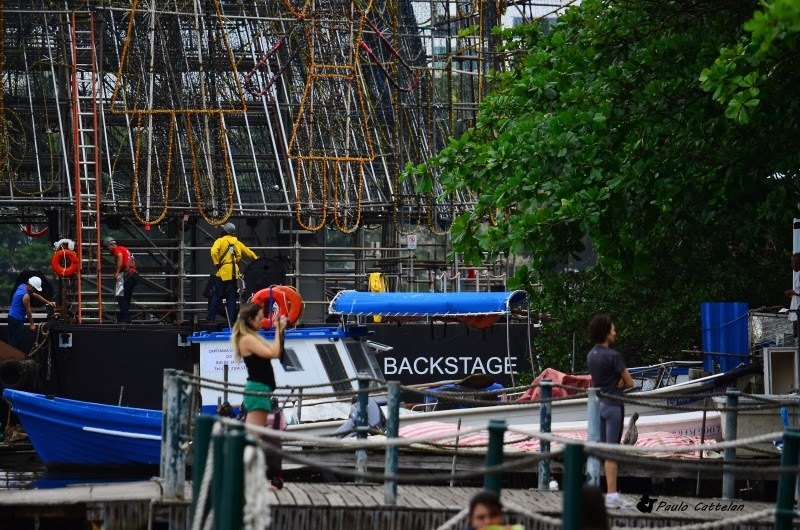 No próximo sábado, dia 30 de novembro, acontecerá um dos grandes eventos natalinos da cidade do Rio de Janeiro: a inauguração da Árvore de Natal da Lagoa. filme homônimo. Também haverá apresentações de outros artistas e um show pirotécnico. Os geradores que alimentam o sistema de iluminação poderiam abastecer 07 Cristo Redentores simultaneamente! 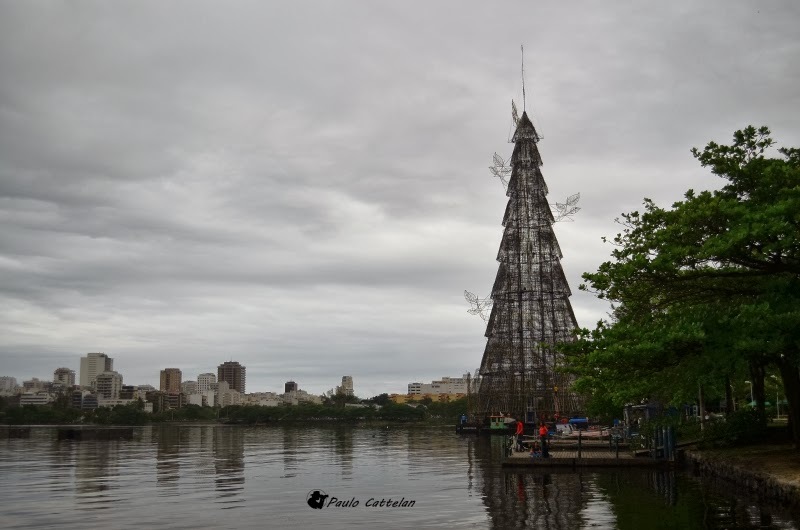 A Árvore de Natal da Lagoa é um ponto de referência na paisagem. The Christmas Tree is a landmark in the landscape. Durante a montagem a árvore fica ancorada próxima a margem. 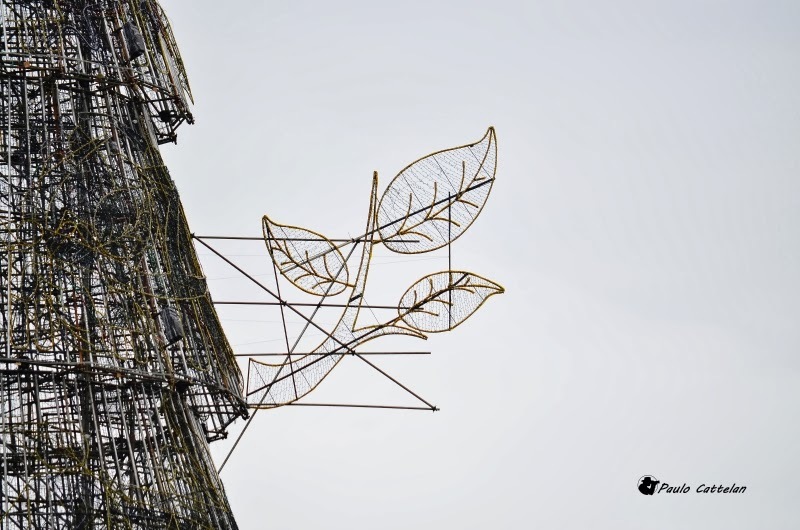 The tree is anchored next to shore during assembly. O trabalho segue em ritmo acelerado mesmo nos fins de semana, com os turistas aproveitando a vista. The work goes on fast pace even on weekends with tourists enjoying the view. 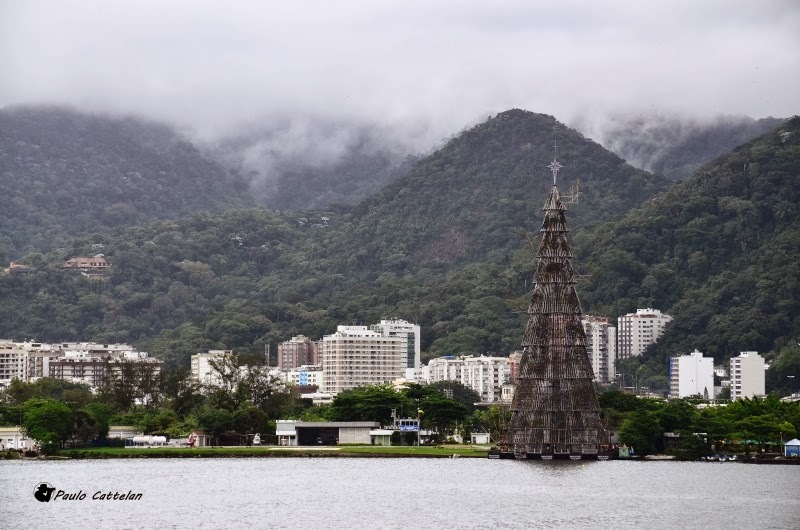 In the next Saturday, November 30, will happens the biggest Christmas event of the Rio de Janeiro city: the inauguration of the Christmas Tree of the Rodrigo de Freitas Lake. This will be the 18th edition of the Christmas Tree and the opening will be in style, with the presentation of the musical A Celebration of Life, which is freely inspired holiday classics as "A Christmas Carol" by Charles Dickens and "The Polar Express" by Chris Van Allsburg - the same that inspired the eponymous film. There will also be performances by other artists, and a fireworks show. The generators that power the lighting system could supply 07 Christ Redeemer simultaneously! Paulo Cattelan & Renata da Costa Cattelan. Tema Simples. Tecnologia do Blogger.